Why are there no good bots? Why are there no good bots? This is a question I get asked on a regular basis. Probably on average of about twice a week. What are you defining as “good”? If you’re defining “good” as some magical creation that enables you to have a conversation with a machine, and makes it feel like you are totally engaged. Then yes absolutely, I’m yet to find a “good” bot. But honestly, why do you want to chat with a machine? You should probably get out more. I suspect the reason behind this was all of the hype around the term “chatbot.” Personally, I hate that term, and you won’t ever hear me use it to describe these “things,” or “bots” as I call them. 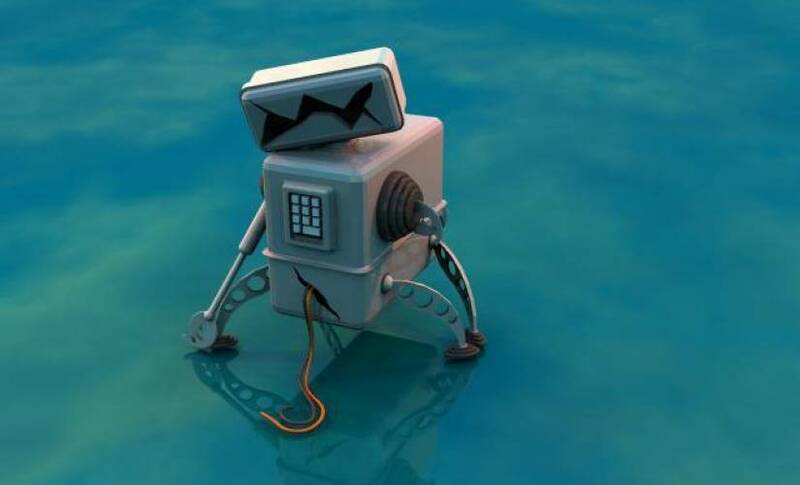 So for a bot to be successful, it needs to have a purpose, work out what you are trying to achieve from a bot, what are you trying to do? Instead of asking are there any “good” bots, you should be asking are there any “successful” bots. This is an easy question answer, yes there are absolute loads of examples of successful bots. But for something to be defined a success, it needs to have objectives. A major musician with a loyal fan base was receiving hundreds of messages a day via Messenger, that were being ignored, now they get responses. No, it can’t answer every question, and no it’s not AI, but you shouldn’t be surprised at how often the same question is asked by different people. Let’s say that’s 100 different people every day, that’s over 35,000 messages a year that are now getting responses. That’s a lot of missed engagement and frustrated people. As any customer support representative will tell you, out of 100 customer support requests, 80 of them will be a mix of ten of the sam questions/problems. That means that 80% of the responses can easily be defined in a process. A North American retailer wanted to increase incremental revenue for every online transaction, improve efficiency, drive higher self-service rates, and provide consistently delightful and engaging experiences across all channels. Using a bot over a six- month period, the retailer kept 55 percent of contacts within the bot. Customers could solve their problems without speaking with a human agent or making a phone call. This hugely reduced their need for resources saving them $1.6 million in contact center costs. Compare Hardwell’s vote on his track of the week for his podcast, fans used to be able to vote on his track of the week on his website, now they can do it via his Messenger account, and he gets roughly 100x the number of votes he used to get each week when it was purely his website. On top of the main purpose, fans can now engage with him in different ways. They can ask when he’s next on tour, they can find out about his latest music, and they can even send in shout outs for his weekly podcast. That’s a huge definition of success. Or another customer of ours, they are driving huge amounts of reach, they are now using Messenger in the way it should be. It’s a messaging channel. It’s enabling them to message their customers, and their customers to be able to message them in a frictionless 1-1 way. With far, far better results than email. They are seeing 99% read rates and on average 21% click through rates. Let’s put these numbers into perspective. That means that for 1,000 users engaged via Facebook Messenger, you need roughly 30,000 users signed up to an email mailing list to get the same return. The power of these bots is easy to misunderstand when you don’t have a bot yourself to monitor and analyze usage. One of the main reasons for this is the exact same reason why these things work well. They are private communications. External parties can’t listen in on the conversations or the usage of the bots. Which means from the outside, you have no idea how successful they are. It’s “dark social,” it’s 1-1 communications. This is one of the many powerful things about these bots. 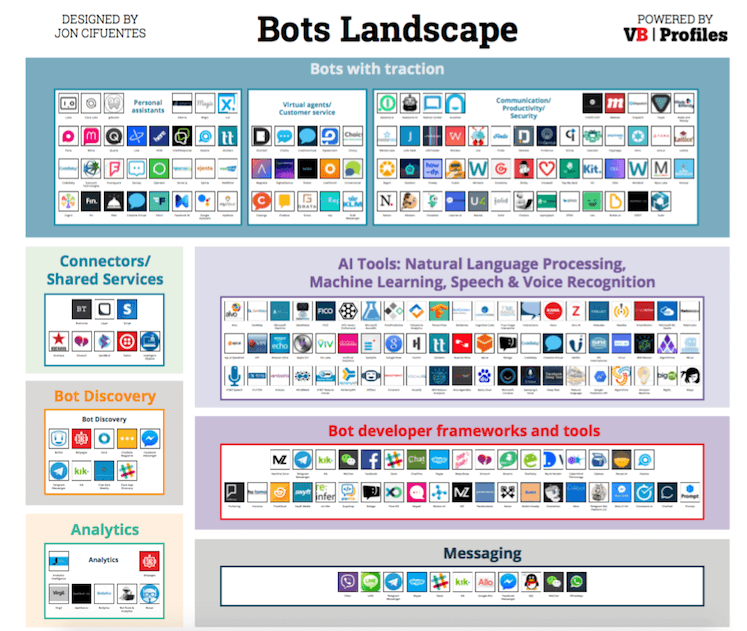 This article is part of our bots landscape series. You can download a high resolution version of the landscape featuring 197 companies here.